Nie Tian’s tough stance deeply surprised Zong Zheng from the Ice Pavilion Sect. Qian Buhui, Gu Yuan, and Cao Mou also had awkward expressions on their faces, not knowing what to say. As far as they saw it, it wasn’t that hard to accept if Xia Yi was only borrowing the Flame Dragon Armor so that he could defeat Basto. They didn’t understand why Nie Tian was being so stubborn. However, they also knew that if Nie Tian hadn’t come to the Realm of a Hundred Battles with Zhao Shanling, they wouldn’t have been able to turn the situation around by themselves. Therefore, they were all in Nie Tian’s debt. The other two Soul realm experts from the Spirit Condor remained silent the whole time, as if Hua Mu could speak for them. Dong Wangling didn’t utter a word either. Only Zhao Shanling expressed his approval of Nie Tian’s decision. “Just name it,” Dong Wangling said. “I wonder if you can give the corpses of these seventh grade outsiders to me,” Nie Tian said. Reluctance appeared on Zong Zheng and Qian Buhui’s faces. Like seventh grade spirit beasts, these seventh grade outsiders’ corpses could be put to great use. Considering these experts’ cultivation bases and strength, they would be able to extract many precious materials from these corpses, which they could use to either forge spiritual tools or refine medicinal pills. Either way, their strength would benefit greatly from them. Compared to seventh grade spirit beasts, seventh grade outsiders were much more difficult to find, so they all seemed somewhat reluctant to give them up. “What is it?” Zong Zheng asked curiously. “One day, I’ll help you walk out of the Domain of the Falling Stars to a wider heaven and earth,” Nie Tian said. Upon hearing these words, every Soul realm expert’s eyes widened. “What makes you think that you’ll be able to help us walk out of the Domain of the Falling Stars?” Cao Mou asked hastily. Zong Zheng, Qian Buhui, and the others also breathed heavily as strong desire brimmed their eyes, as if they had cultivated their whole lives for this very purpose. “He does have such an ability,” Zhao Shanling said with an expressionless face. Zhao Shanling and Hua Mu’s words made the other Soul realm experts’ eyes light up. All of the Dong Clan members that were gathered in this place exchanged awed glances with one another. “Same with me!” Qian Buhui also said excitedly. The other Soul realm experts then took turns to express that they were also willing to give Nie Tian the outsider corpses that should have belonged to them. “Many thanks!” Nie Tian said. Zong Zheng gasped with astonishment, then gazed at Nie Tian with a completely different look in his eyes. Hua Mu had kept this matter a secret. Until now, the other two Soul realm experts from the Spirit Condor were the only ones who knew about it. Even Zong Zheng, who was their ally in the Realm of Endless Ice, knew nothing of it. Since the Spirit Condor and the Ice Pavilion Sect were both based in the Realm of Endless Ice, Zong Zheng had known Hua Mu from long ago. He knew that Hua Mu was running out of lifespan. For many years, he had roamed different realms and used the Spirit Condor’s resources to look for magical items that could slow his aging. However, when he had heard that Hua Mu had shattered the Spirit God Sect’s grand spell formation and slaughtered their disciples for what they had done to Zhen Huilan, he had realized that Hua Mu’s lifespan problem must have been solved. However, he hadn’t known how Hua Mu had solved it. Only now did he realize that the reason why Hua Mu was still alive was because Nie Tian had found him a Fruit of Life. He finally understood why Hua Mu and the Spirit Condor had supported Nie Tian at every chance. “Of course, come with me.” With these words, Dong Wangling strode away. He made a grabbing motion in the air, and a few resilient belts of pure spiritual power shot out and wrapped themselves around the floating seventh grade outsider corpses. Then, he pulled them away like floating balloons. As he came close, the teleportation portal in the Dong Clan started rotating and set to a specific location. Hua Mu nodded with an assuring look in his eyes. His heart finally put at ease, Nie Tian followed Dong Wangling into the teleportation portal. Dong Li wanted to catch up to Nie Tian, but Dong Baijie shook his head at her, signaling for her not to do so. She then wanted to speak, but also stopped on second thought. There were too many Soul realm patriarchs here. In their presence, Dong Li and Dong Baijie were juniors of juniors. It wasn’t their place to speak their opinion. She had wanted to defend Nie Tian on a few occasions, but Dong Baijie had stopped her with stern looks every time. Watching Nie Tian follow the patriarch of her clan to his personal cultivation location, she felt somewhat anxious. She wanted to stay by Nie Tian’s side as he cultivated. “Alright...” Dong Li said, nodding reluctantly. “It’s time for us to head to the Realm of Mystic Heaven, everyone,” Hua Mu said. Afterward, they had the Dong Clan members set up the teleportation portal, and then entered it somewhat anxiously. Only Zhao Shanling remained here. “Senior Zhao, aren’t you…?” Dong Qianqi, the clanmaster of the Dong Clan, asked in confusion. “What happens in the Realm of Mystic Heaven has nothing to do with me,” Zhao Shanling said with an expressionless face. “Now that the outsiders are gathered in one realm, they must have learned that someone has sealed the spatial rifts in the Realm of Flame Heaven and the Realm of a Hundred Battles. The spatial rift in the Realm of Mystic Heaven must be heavily guarded right now. I wouldn’t do such a stupid thing as going there now. “Besides, I’ve already gotten what I wanted from my senior martial brother. With these irresponsible words, Zhao Shanling ignored the strange looks in the Dong Clan members’ eyes and disappeared into a spatial rift behind him. Perhaps he was the only person who wouldn’t be affected if the Domain of the Falling Stars fell into the outsiders’ hands. Given his cultivation base and profound mastery of spatial magics, he would be able to escape to a remote space whenever he wanted to. Inside a spacious, closed room, shock filled Nie Tian’s face as he looked around at a large number of extremely pure spirit jades. Compared to this room, the cultivation rooms in the Blood Skull’s headquarters were not even worth mentioning. All that Nie Tian did was stand there, but he could still sense wisps of pure spiritual Qi of Heaven and Earth flooding into his spiritual sea and entering his nine vortexes of spiritual power. He believed that by cultivating in this room, the efficiency at which he expanded and refined his vortexes of spiritual power would improve ten-fold. No wonder Dong Li would progress in her cultivation every time she finished an adventure and returned to the Dong Clan. The reserve power of ancient clans like the Dong Clan was indeed shocking. They had the ability to help their members rapidly accumulate strength and make breakthroughs soon after they achieved the right mental state. If his master Wu Ji had a cultivation room like this one, perhaps he would have accumulated enough spiritual power to break through into the Soul realm. After a moment of pondering, Dong Wangling said, “I won’t ask you how you plan to deal with those outsider corpses, Nie Tian. You’re welcome to use this cultivation room for as long as you like. Our clan owes you this much. Dong Li told me how she obtained the Fruit of Life when she gave it to me. “If it weren’t for you, I wouldn’t have gained these extra years of lifespan. Even though, unlike your master, I still had some lifespan to spare, any human would appreciate some extra years. After all, our lifespans are rather limited. “I also heard that you helped Dong Li gain the corpse of an eighth grade black phoenix, and brought most of our clan members back from that dimension. “Even though Zhao Shanling played a very important role in ending the crisis in the Realm of a Hundred Battles, it was you who persuaded him to come to our aid. “I only did what I thought was right,” Nie Tian said modestly. With these words, he left through the teleportation portal, which only led to the Dong Clan. As soon as he vanished in the portal, Nie Tian summoned the Bone Blood Demon and had it drain the blood of all of the seventh grade outsider corpses. The Bone Blood Demon had possessed middle Soul realm battle prowess before Nie Tian had taken it to the Realm of Flame Heaven. In the Realm of Flame Heaven, it had absorbed and refined a copious amount of blood from numerous fourth and fifth grade outsiders. This time, it had once again massacred a large number of fourth, fifth, and sixth grade outsiders around the Dong Clan, the Gu Clan, the Cao Clan, and the Pill Pavilion Sect, and refined their blood. If it went on and refined the blood of these seventh grade outsiders, would its strength rise to a new level? Jiaotu (椒図, pinyin: Jiāotú), the ninth son of the dragon, is the guardian of households. 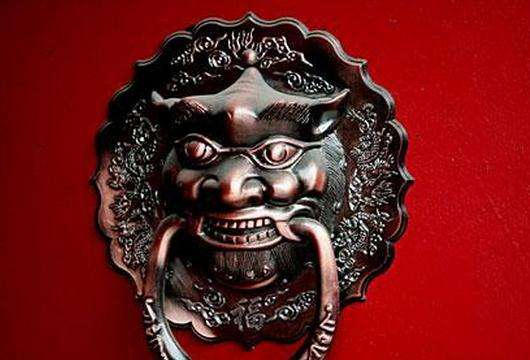 In an ancient legend the Dragon King tried to enter the house of his son Jiaotu, which turned out to be extremely difficult. Only after a long time and many attempts, did he finally succeed. 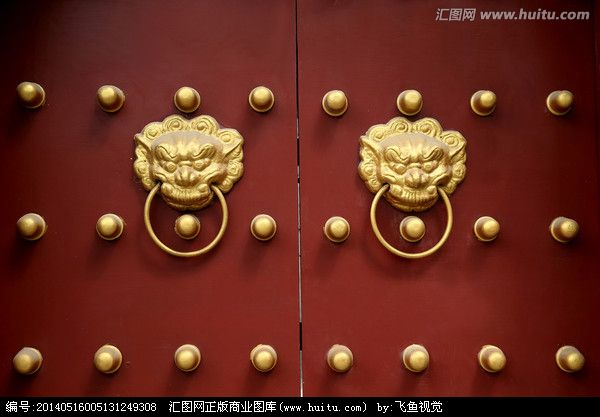 Jiaotu is often seen on front doors protecting the house from burglars, etc. Alright, this is it, all nine sons of the dragon. I actually learn a lot about them, things I didn't know before, while I looked for materials about them. Hope you like them.